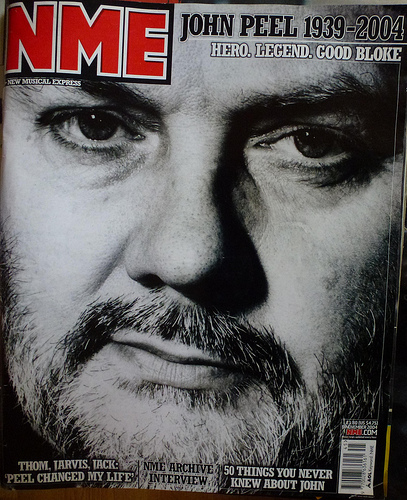 Ok, so it’s 10 years today since John Peel died. I don’t think I can let that pass without comment. It’s rare when I hear about someone famous passing on that I feel anything other than indifference. But when Peelie shuffled off this mortal coil, I felt cold. A veritable shiver. The light that would never go out, had. Ok so that’s not a great claim to fame. I don’t have anything better than that. But in 1989 I went to the Reading Festival, and on the Saturday John was acting as compere. I remember him reading the football scores out, but insisting on starting with the Scottish results, because they usually get left till the end and nobody really pays attention to them. And this strikes me as being a metaphor for his life’s work: bringing the previously unheard to the attention of the masses. Yes he played a lot of tosh I wasn’t interested in (I’m looking at you, Bhundu Boys) but for every 10 songs he played, you got at least 2 or 3 that you’d never heard before and wanted to hear some more of. I could make a really long list of the bands I first heard via Mr Peel. I won’t, but here’s some of them. My life is richer for having them, and the stuff I consequently checked out, in there. Cheers, John! Links all repaired. Or done properly, if you prefer. It is early 1982 and a major musical epiphany is on the horizon. But before that (and I have no specific stories to relate about it), scalded by my Jungle Boogie experience (which sounds like a fecking great name for a band by the way), I shrunk backwards. I’d borrowed the Red and Blue Greatest Hits from my aunt earlier, and loved every moment of them, so, desperate for recognition, I guess I regressed into my tortoise shell. The spelling is deliberately wrong by the way, I’m just starting and don’t want any DMCA notices. A few years ago, a very good friend of mine (Hi Colin!) made his feelings about The Beatles known to me. Since they’re unlikely to feature much more here, this seems an appropriate moment to share this. He hated them. No, he REALLY hated them. What he hated was not the music itself, but the very idea of The Beatles. To Colin, they were institutionalised music taste. He was being told what to do. 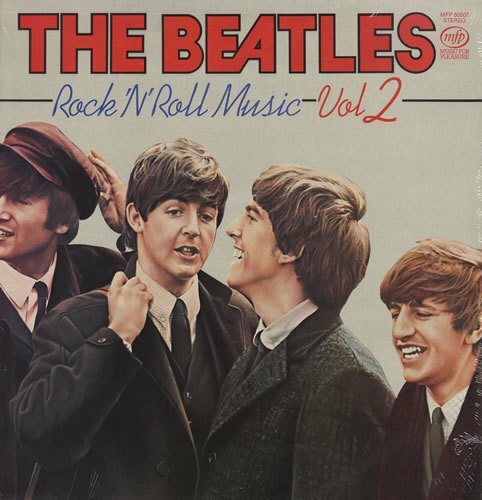 “These are The Beatles and you must like them”. You were just supposed to like The Beatles without ever questioning it, because of who it was and what they represented. As a result, he bloody hated them. I very much admire his stance. I’ve seen him, in a bar with a band playing a Beatles cover, standing on the dance floor, fists up, challenging anyone who wanted to dance to just give it a try. Which seems a tad extreme, but I get his point. There is no reason in liking something just because it’s popular and en vogue. Why like something else because everyone else does? Right??? I’d have to like One Direction if that were the case and that ain’t gonna happen. They murdered “One Way or Another” for a start. If only I’d met him 20 odd years earlier, you (and I) would have been spared a lot of pain.